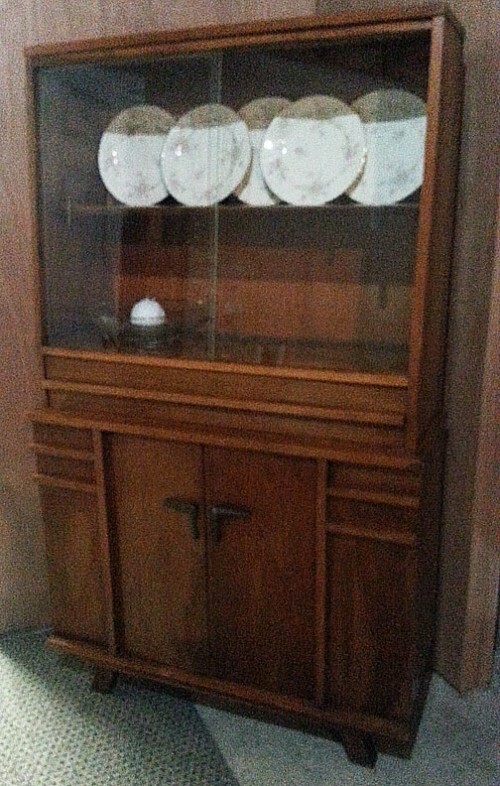 This 1950s china hutch is classic mid-century. Very good condition. Nice medium honey colored wood. birch wood? not positive on wood id. Very sturdy, classic tongue and grove construction.